How and Why I Switched from Low Carb to PaleosteemCreated with Sketch. I've written about how I moved away from my vegetarian diet to effectively cure my diabetes in this post, and at the time I promised to write another post on how I ended up more as a paleo diet kind of guy than an Atkins Low Carb dieter. Here is that post... As promised. The funny thing about my transition to paleo is that I was almost already there during the same time that I was ruining my health and descending into T2 diabetes. I considered myself a whole food ovo-lacto-vegetarian and I grew a large part of my food myself, using organic methods. A typical day for me was going out to the back yard for oranges, Indian River bananas, maybe some huckleberries or wild strawberries to make my morning smoothy with brewer's yeast and honey from my own bees, followed by a bowl of Grandma's homemade granola. Lunch was what I called a "salad sandwich", my own various greens, avocados from the neighbor's yard, maybe some egg salad and cheese on sprouted wheat bread and a glass of orange juice. Dinner would be steamed veggies, wild rice mixed with some of my favorite spicy black or red beans and some apple cider. Late night snack would be either Haagen Dazs or more of Grandma's granola. I really kept that poor woman busy. So that sounds not so bad, from a whole foods angle, and... except for about 75% of the food, it was really good. But it nearly killed me. Because I got at least 75% of my calories from sugar in that diet. 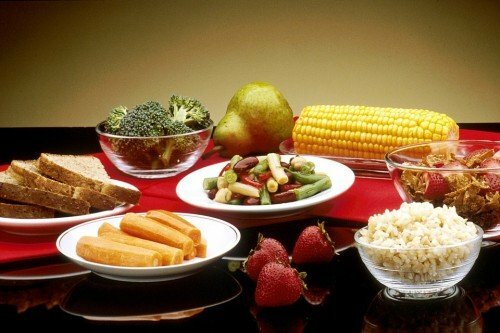 Fruit, rice and honey, grains, seeds, beans, tubers, are all high carb foods, and carbs turn into sugar when you digest them. 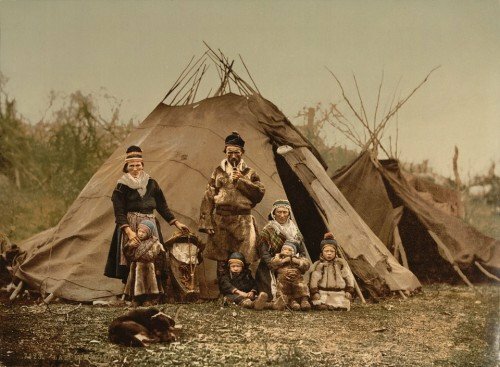 It was way too much sugar/carbs, as it turns out, for my particular metabolism, which comes from the most northern of all peoples, the circumpolar tribes, including the Saami and Nenets. Nomadic herds-people who eat mostly meat. So, with that background in vegetarianism and whole foods, when I started Atkins I naturally gravitated towards whole foods. Fortunately, my introduction was through the first edition of Atkin's diet book, which was almost completely whole foods. Later he drifted more towards processed foods (because people asked for it) and even later the Atkins Corporation took it over and made it about snack foods and vitamin powders. Shameful. Then I read "Neanderthin" which I partly disagree with, but which taught me one thing I hinted about above. I am not a Middle Easterner whose ancestors have been eating grains for 10,000 years, I am not a South Asian who has been eating rice for about as long, and I am not a tropical islander who has had fruit available to them year round. I am from a long tradition of nomadic herdsmen, my ancestors might not see fruit their whole life, they may not have had greens in their diet but for a month or so each spring. I had to realize that my metabolism, which came mostly from my genetics, is the only metabolism that matters for my diet. Instead I damaged my metabolism by eating like a person from Sumatra. I do best on meat, eggs, fermented milk, and a few greens. That's "Paleo" for me. And here's the point. That may not be "Paleo " for you. Even if you know your familial lineage, you can't really count on it for your dietary needs. For instance, I do not have the epicanthic folds that my Grandmother on one side has, and my whole family on the other side has. Genetics are a little odd that way. You never really know what might show up. But, judging from almost 20 years of experience, I can say that I got a full load of the Reindeer and Yak herding genes. 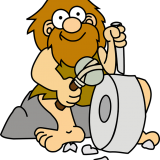 So you might have to create your own paleo for it to be the best Paleo for you, but two standards are clear. Choose foods that humans have been eating for millions of years, not the last 10,000 years and certainly not the last 100 years. Eat those foods in their least processed form. And really... that's not necessarily Paleo, that's just human. Congratulations! Your post has been chosen by the communities of SteemTrail as one of our top picks today. Also, as a selection for being a top pick today, you have been awarded a TRAIL token for your participation on our innovative platform...STEEM. Please visit SteemTrail to get instructions on how to claim your TRAIL token today. If you wish to learn more about receiving additional TRAIL tokens and SteemTrail, stop by and chat with us. Great post - glad to hear it helped, and amongst the masses of pro-vege misinformation on the net it's nice to see the other side of the story. Thanks. 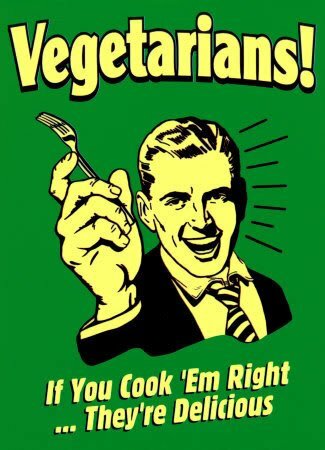 There's a lot of pushback about the incorrect "health advantages" myths of vegetarianism, but if people want to avoid eating meat in spite of the health risks, on personal ethical grounds, however misguided, I can respect that. They will learn eventually. I know I was misguided for a long time. The people I trusted for health information were just making things up. This post has been ranked within the top 25 most undervalued posts in the second half of Dec 28. We estimate that this post is undervalued by $20.87 as compared to a scenario in which every voter had an equal say. See the full rankings and details in The Daily Tribune: Dec 28 - Part II. You can also read about some of our methodology, data analysis and technical details in our initial post. Wise information. Thanks! I agree that everyone has to find what works for their metabolism and unlike you, I have no idea about my genetic makeup - I am heinz 57 when it comes to family lineage... :) I do know however, that eating non processed food is highly beneficial for me - I can tell from how my body and mind feel. Also, eating more greens, local fruits only, and less beef and more fish - not seafood, works (all organic of course, not farmed fish - ew). I think there's some room for the standard nutritional information, but that comes after knowing your own body. Yes it does....I agree with that as well. for me what's work is to just eat and see. That's what most people do, and as long as you do it with care and attention, it usually works. That part about being so close, yet so far really resonates with me. Sitting there, trying to do the right thing and so close to doing exactly the right thing, but yet you might as well be a million miles away. If you had dropped the bread, rice, granola, and reduced the fruit and honey, you probably wouldn't even have had any problems. Of course the problem is that at the time you didn't see any problem with your diet, you were eating 100% the correct, recommended foods. Nobody sees it before. Actually, the sicker I got, the more I doubled down on the fruit and rice... because "a vegetarian diet is good for you". Everyone said so. And all the people I talked to about it, including the doctors, (as you probably know), said I was doing the right thing... or accused me of lying because I couldn't be getting sicker and fatter if I was eating like that! And of course, my cholesterol was high (very high), so I must be sneaking in some cheeseburgers. See... now I'm getting mad again. When my wife went to the doctor's for her checkup and to get a blood test done, she got weighed by the doctor, and the doctor was all "Oh you're doing very well, I can see you've lost a lot of weight around your face". My wife said that she was on a keto diet, and the doctor was kinda like nod, not really paying attention or just thinking oh, anther diet whatever. My wife, trying to get a rise, said "so you're not worried about that at all?" At which point the doctor paid attention and replied "Oh, what's that?". "It's a low carb, high fat diet, LCHF." The doctor was a little confused at first. "Low carb, high protein? I have another patient that does that, although I don't recommend it." "No, we're on a keto diet which is low carb and high fat", and added "Low carb high protein diets aren't good for you." "Oh, low carb high fat. ", after thinking for a second the doctor adds "No... No, but fat makes you fat", she sounds confused, because she's looking at the chart and my wife's weight has definitely gone down, like a lot. And she looks at my wife again, clearly seeing that she's lost weight and mumbles, "but fat makes you fat." My wife tries to sit there and explain it to her and the doctor starts glazing over and so she finishes up with "If you want more information, you can go to DietDoctor.com and find out all about it". The doctor immediately gets a hostile look on her face and says "Oh, Diet Doctor", yup, she's heard about it alright. I don't know what kind of stories they're telling in the staff rooms at the clinics but I'm guessing it's not that people should be going to DietDoctor.com to get healthy. My wife went back to get her cholesterol results, but I don't think we'll be going back and seeing that doctor again. One of my doctors actually quoted that show on TV with the different "doctors" as proof that I couldn't be alive on 10 grams of carb a day. Made me mad enough to spit.